Can Games Make a better Future? We are convinced they can! And that is what the project Enter Africa is all about. It encourages young people in Sub-Saharan Africa to use game thinking as a tool to address everyday challenges. 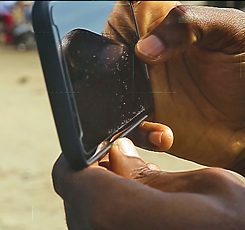 © Prince Andrew Ardayfio Interdisciplinary teams including architects, urban planners, IT experts and artists in 15 African cities create location-based games – playable on mobile phones. The games anticipate our cities’ transformation processes and envision future scenarios: Which challenges for infrastructure, culture and the environment emerge? How can they be experienced and solved in a playful way? Out of these 15 visions, the teams identify joint topics for Sub-Saharan Africa - and create one analogue African game with a focus on borderlessness and the promotion of African cultures.This process has generated a network of creative, innovative, young professionals across the African continent – the Enter Africa Community. 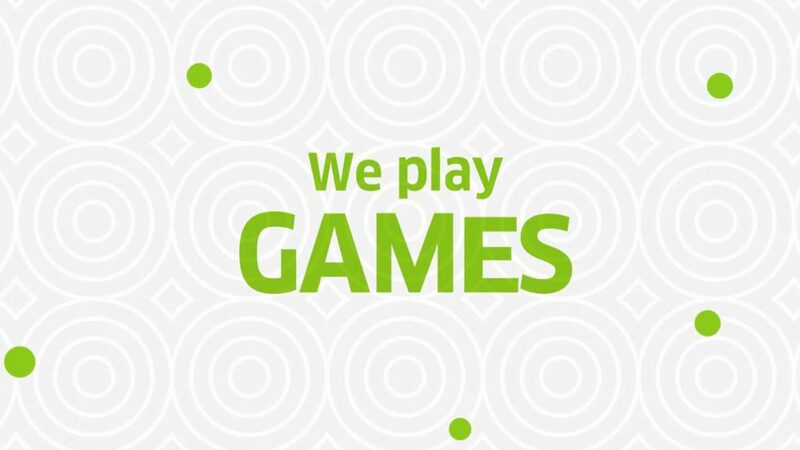 Together, we use games and game thinking to realize our visions for Africa’s future. Enter Africa is a project by the Goethe-Institut. 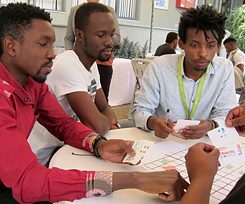 It involves many partners – game design and gamification experts from Germany and Ethiopia as well as organizations from different African countries. The location-based games and the megagame will be released in 2019. We will present them on different occasions across the African continent and the gaming fairs A Maze and Gamescom in Germany. As soon as we are ready, you will also find them on this website! For the first time, Enter Africa will present itself on the European gaming stage. From 10th to 13th April, representatives from the participating African countries will showcase the project and process, the various location-based games as well as the Megagame at the games fair A MAZE. in Berlin. Our team from Ghana was part of the re:publica, which took place for the first time on the African continent this year. The team presented and tested their location-based game as well as the megagame with visitors and captured their experiences in this short film. With a three day workshop in Namibia's capital Windhoek, we have started the second round of Game Labs. More about the 15 location-based games that are created in 15 African cities. Visit the teams and learn about the tasks to be solved in their cities. Participants from 15 African countries create one analogue game about borderlessness and the promotion of African culture.